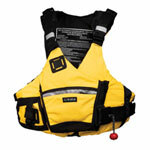 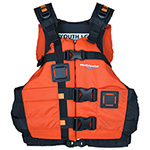 Whitewater outfitters always put their guests in Type 5 life jackets. 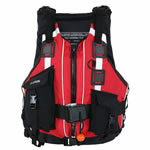 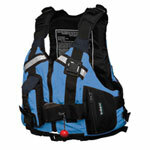 Type 5 lifejackets are typically universal in their fit, have higher flotation and include a head pillow. 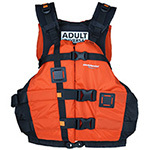 Our favorite whitewater Type V is the Stohlquist Canyon.